We design and deliver online health programs that leverage GoShare’s scheduling functionality, and webinar technology. We design and deliver online health programs that use GoShare’s scheduling functionality and webinar technology. With the increasing prevalence of chronic conditions and the requirement for health professionals to support self-management, we offer a range of online health program solutions that are scalable and cost-effective. These highly scalable approaches to patient education provide an opportunity for health professionals to support their patients with health information in a format that best suits their needs and learning preferences. via email or SMS at a pre-determined frequency. cost effective approach to supporting people with long-term conditions. Mental health webinars: SANE Forums (saneforums.org) is a moderated peer to peer online forum, split into two communities: The Carers Forum is a place for those who are caring for a family member, loved one or friend with a mental illness, while the Lived Experience Forum is for those who are experiencing mental illness. While the focus of the Forums is peer-to-peer, SANE does offer a monthly information session in each Forum, called Topic Tuesday. These online live events are very popular and allow guests who specialise in a specific area to share information and advice. SANE had an opportunity to create more engaging content, while keeping the foundations of the successful Topic Tuesday. We worked with SANE to deliver four one-hour webinars for people living with a mental illness and their carers. Topics included, ‘Challenges of Caring’, ‘Smashing Stigma’, ‘Connecting and Communicating With Someone Who Is Unwell’ and ‘Healing Trauma’. Cardiac Rehab: As a part of the Integrated Care Demonstrator Program, Central Coast Local Health District is piloting GoShare across five services. The CCLHD Cardiac Rehab Service conducts a rolling six-week cardiac rehab program with sessions held twice a week by nurses and allied health professionals. 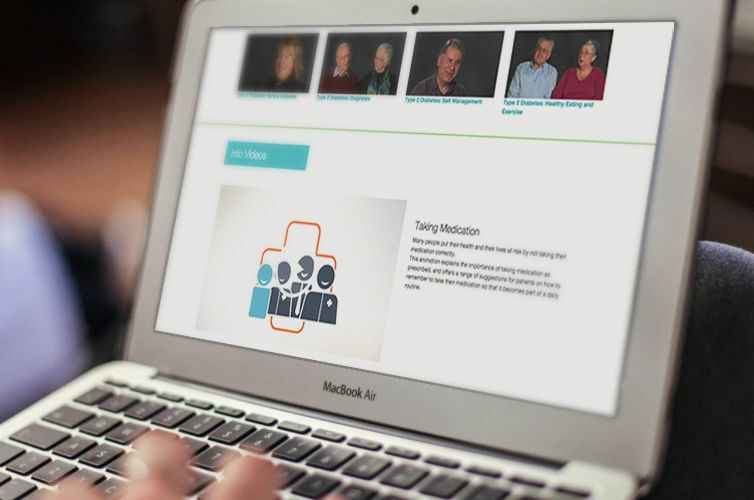 We developed a series of six content bundles, relevant to each week’s sessions, which patients are sent weekly by email or SMS once they are enrolled in the program. GoShare’s scheduling functionality means that minimal time is required to send each patient comprehensive educational resources to support the face-to-face sessions.